Posted by C.A.R.D in Citizens Against Racism and Discrimination, Daboyz1234, Discriminate, Discrimination, Hate, Lebanese, Racism, Racist. Posted by C.A.R.D in African Americans, African-American, anti-black, Citizens Against Racism and Discrimination, Discriminate, Discrimination, Hate, Racism, Racist, white supremacist. A notorious Montreal-based white supremacist whose body is covered in racist tattoos was sentenced Tuesday to six months in jail for willfully promoting hatred on a website he created. Before he was arrested in 2003, Presseault’s U.S.-based website received hundreds of thousands of hits, and material was downloaded from it more than 300,000 times, according to Montreal police. Presseault has been in custody since June 2006, when he pleaded guilty to willfully promoting hatred, after he was picked up by police for uttering threats against the judge hearing his case. On Tuesday, Quebec judge Martin Vauclair concluded Presseault, now 30, is a racist and violent man, and rejected the defence’s request for a more lenient sentence to be served in the community. Posted by C.A.R.D in Card, Hate, Racism, Racist. The Maricopa County Sheriff’s Office is offering a $5,000 reward for information that will lead detectives to the person who scrawled racial epithets on a Litchfield Park home being built for a Black couple. Walter and Judith Conley found the racist messages and profanities carved into the walls when they visited their custom home in late November. Nearly every interior wall had been damaged. But even after conducting surveillance on the home and interviewing numerous people, detectives are stumped. The only solid lead: A white Ford 150 pickup truck was seen parked in front of the home. Anyone with information should call (602) 876-1011. Posted by C.A.R.D in African Americans, African-American, Card, Discriminate, Discrimination, gang, Hate, hate crimes, Hispanic, killed, Racism, Racist. CANOGA PARK – Racial tension that percolated in Los Angeles County jails this year has boiled over to San Fernando Valley streets, where Latino gang members are targeting African-Americans in random attacks. Blacks have been the targets in nine of 12 attempted-murder cases reported since July in the Canoga Park area, according to the Los Angeles Police Department. to the relatively safe West Valley. Two inmates have been killed and scores of others injured this year in racial brawls at Los Angeles County jails. Blacks were targeted this year in 14 of the West Valley’s 23 reported hate crimes. Posted by C.A.R.D in Card, Citizens Against Racism and Discrimination, Discriminate, Discrimination, Hate, Killing, Racism, Racist, violence. 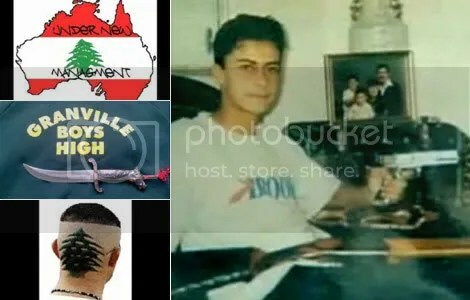 Channel 9’s A Current Affair reports on the so-called “Bass Hill Boyz” – A Lebanese rap group which sings about and encourages attacks on Australians. Posted by C.A.R.D in Anti-White, Card, Citizens Against Racism and Discrimination, Hate, Racism, Racist, UN. The top UN envoy to the Democratic Republic of the Congo (DRC) has expressed concern about hate messages in the local media, which are inciting Congolese to target and take revenge on “white people and foreigners,” a spokesman for the world body said, according to a report by the UN News Service. The Secretary-General’s Special Representative in the DRC, William Lacy Swing, made his feelings known this morning, following yesterday’s decision by the Congolese High Authority on Media to suspend for 24 hours the local RTAE and CCTV television stations because of the broadcasts.CCTV television station is owned by presidential candidate and current Vice-President Jean-Pierre Bemba, UN spokesman Stephane Dujarric told reporters in New York, adding that the official Congolese Broadcasting Corporation television station has also been suspended for 24 hours on similar grounds. Posted by C.A.R.D in African, African-American, Alejandro, american, anti-black, attacks, Bernstein, Black, Blacks, California, Card, Cazares, Citizens Against Racism and Discrimination, Fernando, gang, Hate, Highland Park, Hispanic, Latino, Los Angeles, Martinez, Mexican, Porfirio, racial violence, Racism, Racist, Racist Hispanic, supremacist, violence, white supremacist. Four members of a Hispanic gang were convicted of conspiring to use violence to push blacks out of their neighborhood, after federal prosecutors targeted the gang with laws normally used to prosecute white supremacist groups.All four were found to have caused the death of a black man shot while parking his car in 1999 and a man shot while standing at a bus stop in 2000 in the largely Hispanic city of Highland Park, east of Los Angeles, California. Posted by C.A.R.D in Ahronoth, Arab, Arabs, Arabs & Muslims, Bomb, Card, Children, children sign bombs, children signing, Children Signing Bombs, Citizens Against Racism and Discrimination, dead, draw, From Israel, Hate, Hebrew, Hezbollah, Hizbollah, Hizbullah, Israel, Israeli, Israeli children sign, Israeli children sign bombs, israeli children signing bombs, Israelis, Isreal, Kiryat Shmona, Lebanese, Lebanon, Nasrallah, Part 2, Part II, Politics, Racism, Scheiner, sign, tank shell, With love, Yedioth. Earlier we brought you the story about Israeli children signing bombs, now a unverified explanation to the story has come out that attempts to show these pictures in a less haunting light. Attention: Citizens Against Racism and Discrimination has decided to no longer carry this article anymore as the source for the article was discovered to be a entrenched part of a Israeli Internet propaganda group. We feel it would be a disservice to continue to keep this article on our website while knowing that it is most likely deliberate propaganda. We will continue to publish articles about the Israeli and Palestinian conflict as it is a very important issue that needs everyone’s attention. Posted by C.A.R.D in Africa, African, African-American, Anti-White, Black, Blacks, Card, Citizens Against Racism and Discrimination, Cynthia McKinney, Discrimination, Diversity, Hate, Hate Speech, Leonard Jeffries, Race, Racism, Racist, Unity in Diversity, White, Whites. THE speech was grotesquely racist – littered with cracks about dead white people. And it featured an insane call for blacks to outsmart the white man by ridding their bodies of all things white: white milk, white sugar, white bread. But this racist rant was not spoken in a basement somewhere. It was part of a city-hosted “Unity in Diversity” event yesterday – and it took place inside the headquarters of the city’s Department of Housing Preservation and Development. During working hours. Posted by C.A.R.D in Alatorre, Anti-White, Augustin Cebada, Card, Citizens Against Racism and Discrimination, extremists, Gloria Molina, Guerra, Hate, Hate Speech, Hispanic, illegal, immigrant, Jose Angel Gutierrez, La Reconquista, Latino, Leaders, Mexican, Mexican-American, Mexico, minorities, Osuna, Professor, Racism, Racist Hispanic, Reconquista, Torres, Wall Street Journal. Posted by C.A.R.D in Anti-White, Baltimore, DC Sniper, explosives, foreign policy, Hate, Hate Crime, hypocrisy, John Allen Muhammad, Kill, Killing, Malvo, Muhammad, Murder, policeman, Race, Racism, Racist, schoolchildren, Shoot, slavery, Sniper, Terrorist, Washington, white man is the devil. One of the two snipers who murdered 10 people in a killing spree that terrorised Washington has revealed their plans to kill hundreds of children, policemen and rescue workers in an attempt to shut down cities across the country. John Allen Muhammad, 45, and his accomplice, Lee Boyd Malvo, 21, brought America’s capital to a standstill in 2002 as they picked off white targets at petrol stations and shops in the city’s prosperous suburbs. Malvo testified that Muhammad, driven by hatred of America because of its “slavery, hypocrisy and foreign policy” and his belief that “the white man is the devil”, planned to kill six whites a day for 30 days. They then intended to move to Baltimore for stage two of their campaign, to shoot a policeman and then blow up explosives at his funeral. More explosives would target the ambulances that would then rush to the funeral. Another plan to kill three busloads of schoolchildren was thwarted because the pair were arrested when Malvo fell asleep while keeping watch at a Maryland petrol station. Muhammad’s ultimate plan, Malvo testified, was to indoctrinate 140 young homeless men at a Canada compound who would “shut things down” in cities across America, unless they received £5 million. Malvo had originally confessed to being the man who pulled the trigger because, as the younger defendant, he was likely to escape the death penalty. He has now admitted only one killing. The other murders were allegedly carried out by Muhammad, who crawled into the back of their converted blue Chevrolet and shot the victims as they filled their cars with petrol, did their shopping or waited at bus stops. The attacks left the Washington suburbs transfixed with terror. People knelt down by their rear wheels to pump petrol or sprinted into shops from their cars to avoid the snipers. Muhammad had treated Malvo like an adopted son, but now the two have turned on each other in a dramatic courtroom confrontation as Muhammad, acting as his own lawyer, cross-examines his former accomplice. Malvo’s cross-examination, which began on Tuesday, continued yesterday before a court in Rockville, Maryland, outside Washington. Malvo further testified that Muhammad wanted him to shoot pregnant white women. At one moment, he even had a pregnant woman in his sights in a fast-food restaurant. “I just couldn’t take the shot,” said Malvo. Between asking questions of his old protégé, Muhammad watched calmly, his chin resting on his hand, as Malvo, on the verge of tears, revealed the full gruesome extent of their plans. pointing his rifle through a hole cut above the rear number plate. When there were no witnesses, Malvo gave the signal to shoot, saying: “You got a go.” Muhammad has been convicted of murder in Virginia where he is on Death Row and is now on trial for six of the killings in neighbouring Maryland. Muhammad claims that both men are innocent of the six murder charges, while Malvo has already pleaded guilty, accepting six life sentences without parole. Maryland prosecutors wanted a second trial in case the Virginia conviction is overturned on appeal.